Your McLaren is already gorgeous but who says you can't take it to the next level? 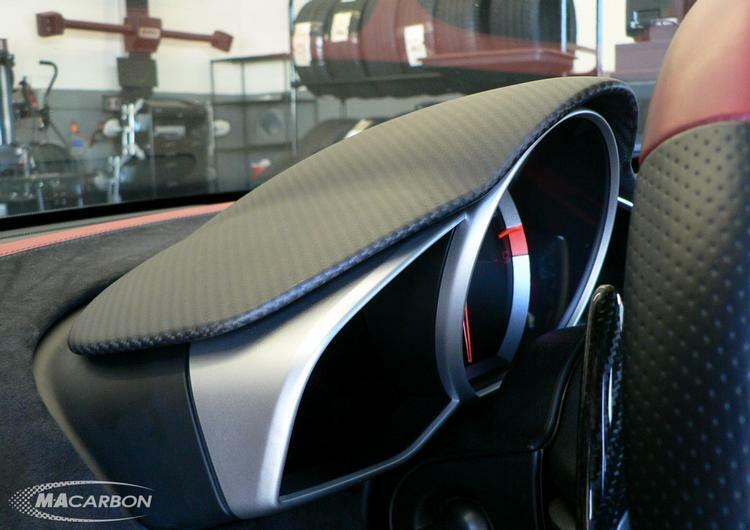 Carbon fiber can definitely do that and MAcarbon wants to give you all the possible options you could ever ask for! 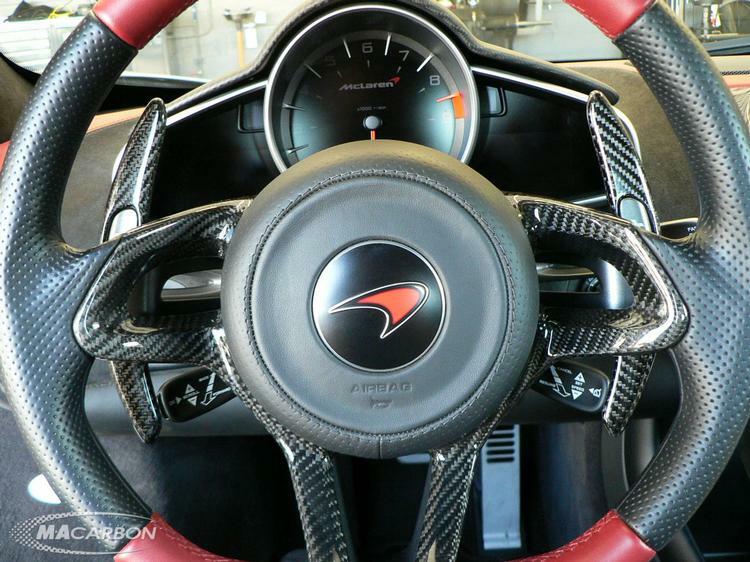 From the interior to the exterior, steering wheel to the start button, there's a little something for just about every corner of your McLaren. Why did McLaren put an ugly slab of plastic right at this spot on the dash? It's not called a 'kick' plate for nothing. You'll be surprised how many times your shoe makes contact with this piece. So although the factory plastic is functional, shouldn't it look good? Go carbon! The cheap silver air vents need carbon fiber! Unlike their full vents, these install in minutes. They replace the silver with carbon while retaining the black barrels. 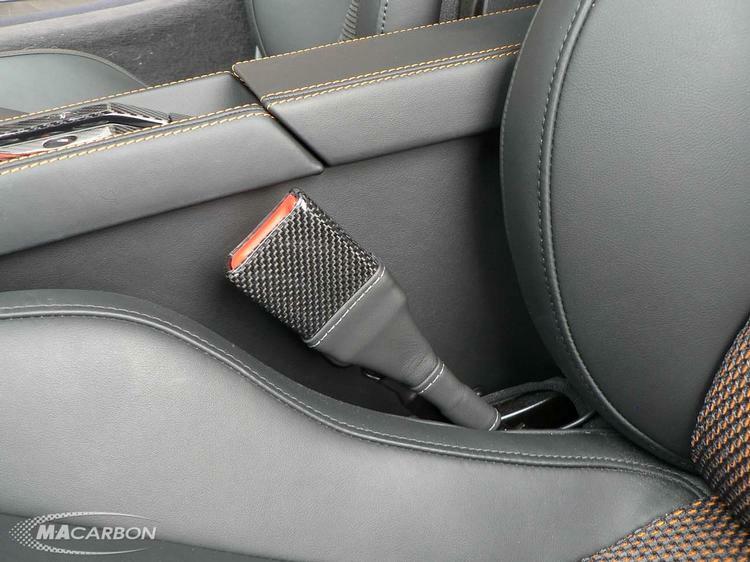 The 12C has tiny shift paddles! Their 'enhanced' carbon paddles will give you a much larger area on which to push and pull. 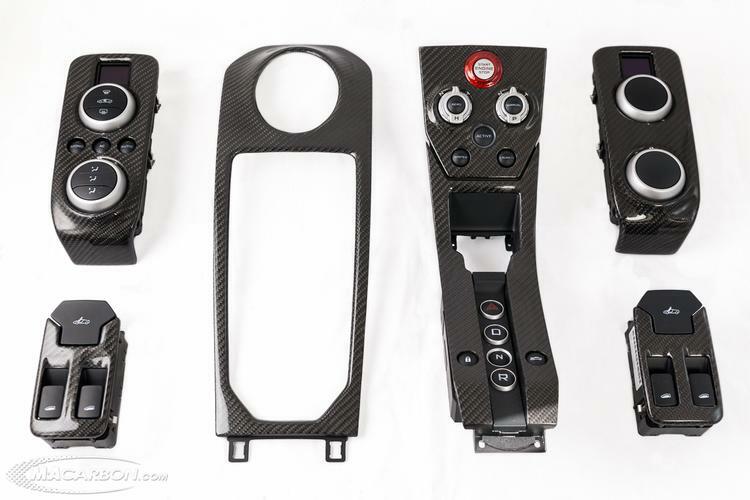 The instrument cluster cover in carbon is an amazing piece that you'll see everytime you get into and drive the car. 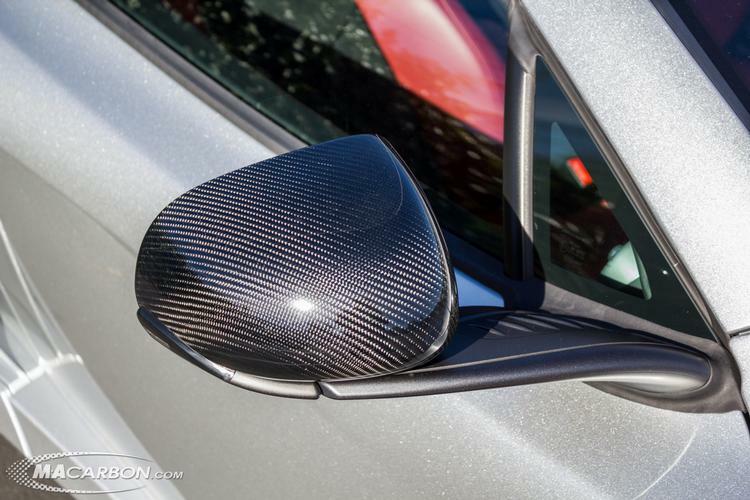 They've done it in a matte finish carbon to minimize any reflections. Not many cars can keep up with a 12C but you will still look in your rearview mirror a bit. 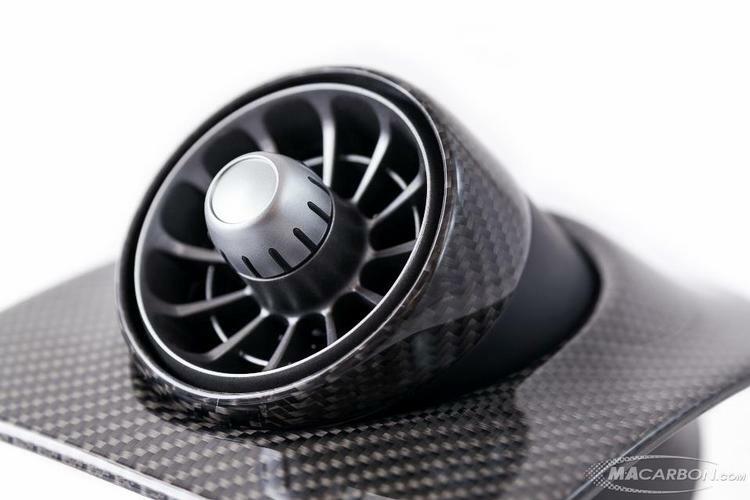 And when you do, you'll see this amazing carbon fiber piece. 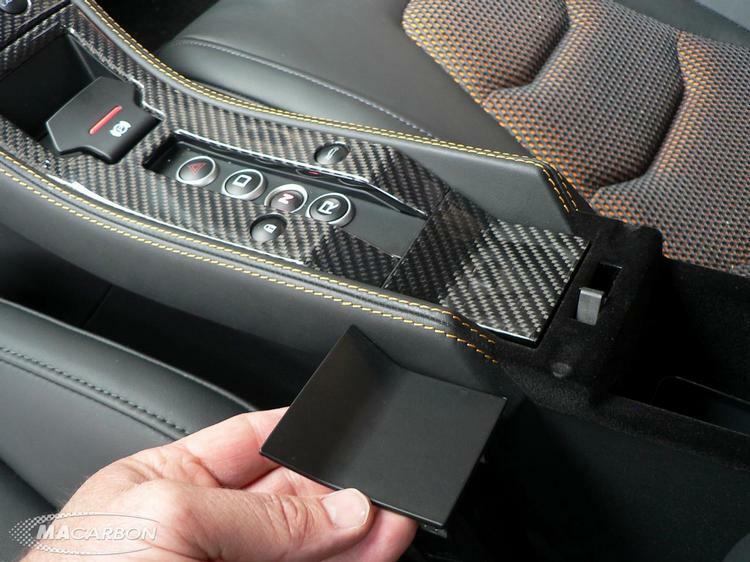 Instead of looking at black plastic, you'll see beautiful carbon fiber! 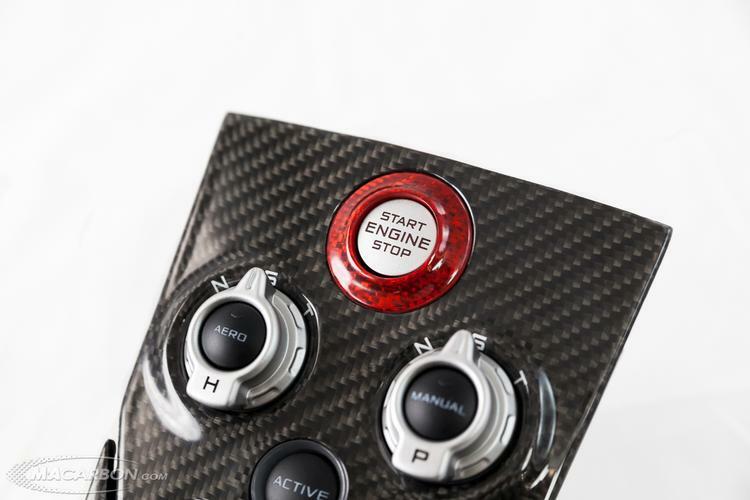 Like most modern supercars, the 12C has a cool (or annoying depending on your point of view) start button. But its just a plain silver button! With a silver metal surround, even on cars with a carbon interior. 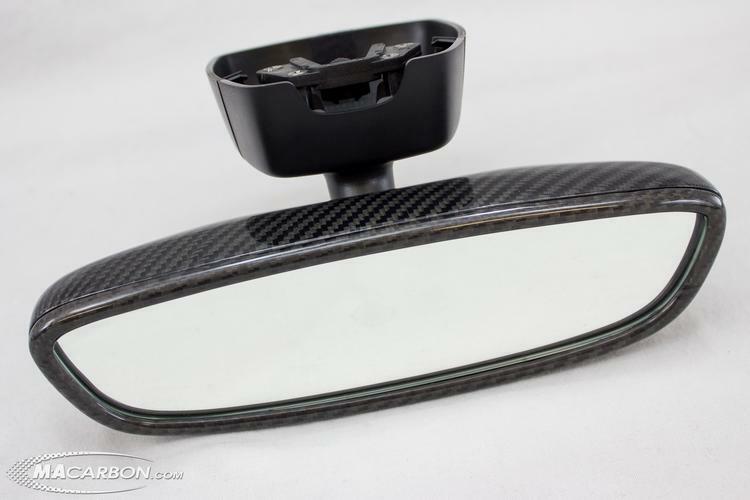 Replace that silver surround with their carbon fiber surround. Choose Ferrari Red OR McLaren Orange. 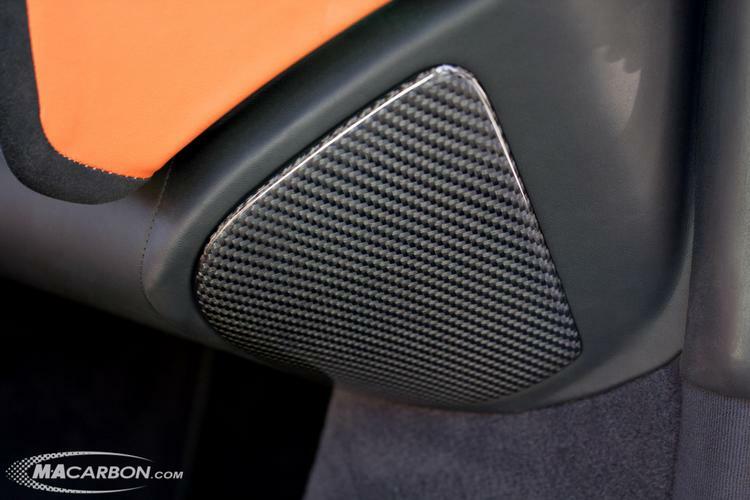 McLaren put a carbon center console in the MP4-12C but then put a black plastic square at the end of it. Change that over to a carbon piece. This is an easy install you can do yourself. You raise the door on your 12C and that cheap plastic seat belt buckle recepticle stares back at you. Upgrade to our carbon version with a leather boot. MAcarbon will use the same stitch color as your interior. Does your 12C have the standard painted mirror shells? You need to move to the carbon version. Those pods are sitting out there on those long stalks just calling out for CF! 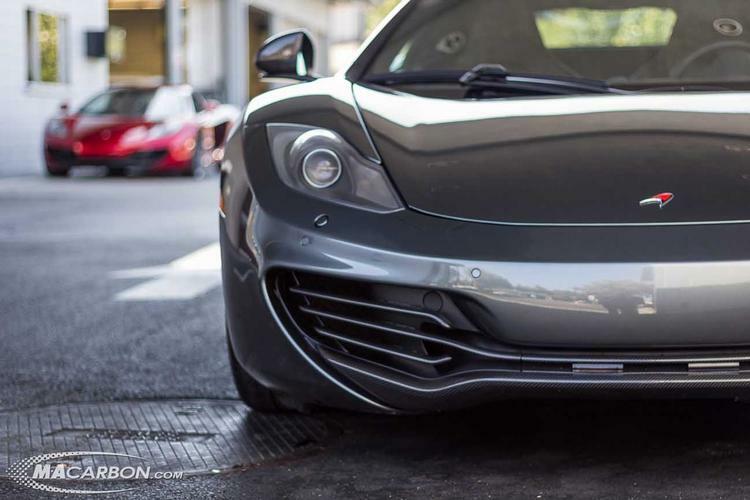 The MP4-12C has those inexpensive looking plastic grill bars. MAcarbon's beautiful grill compliments the factory fron CF lip and makes your 12C look like it should have when it arrived from the factory. For more information, click here to visit our site. Feel free to message us or comment below with any questions! I love to see if u guys can make a front lip to make the front look a little lower. Thank you for the question. The Air Vent Tip Set is in stock. how easy to remove it , any direction ? A few pieces in stock, quick lead times on custom made pieces! Complete interior going in soon! Message us with any questions.